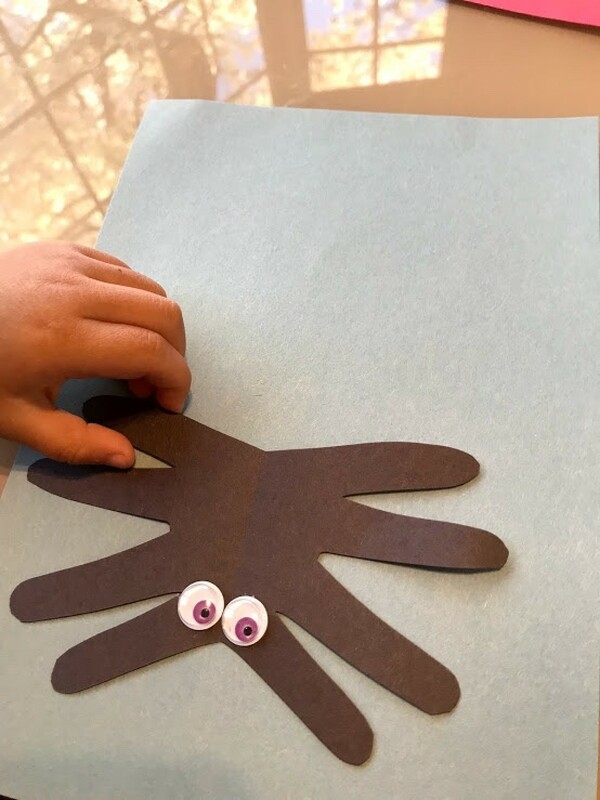 A very, simple project for youngsters using handprints to create a spider with buggy eyes picture. 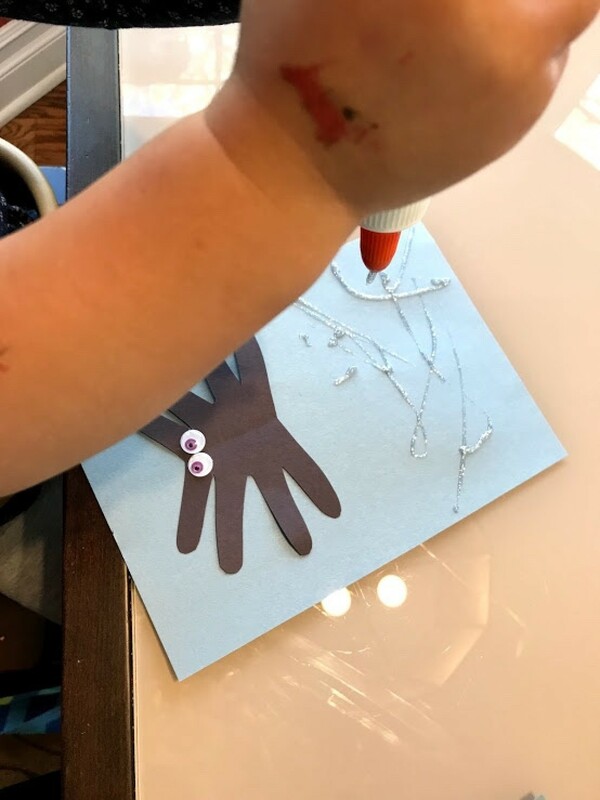 This is a guide about spider handprint crafts. 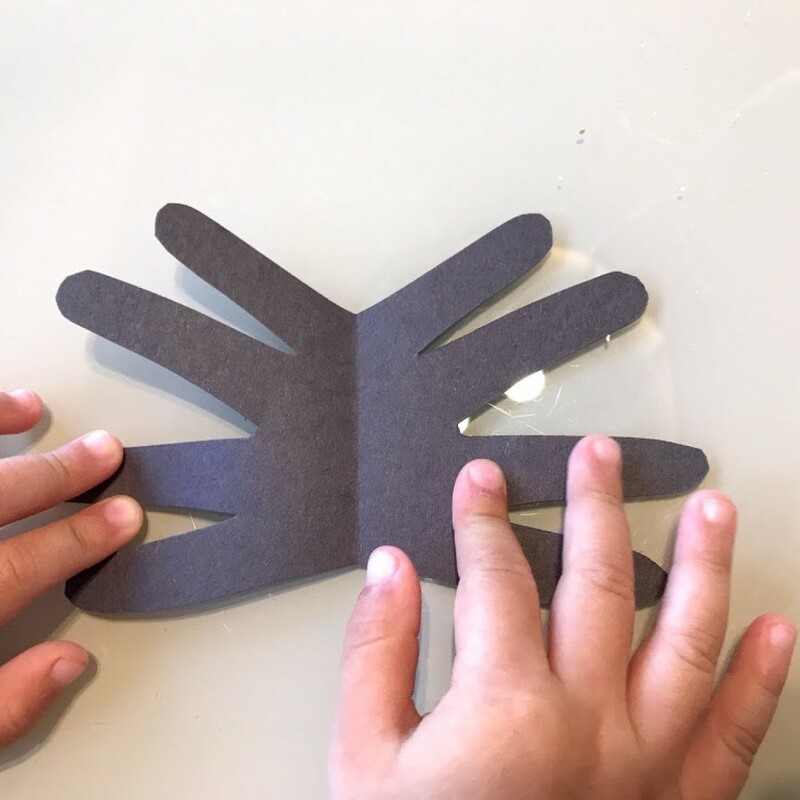 This quick and easy craft uses minimal materials and is such a cute representation of your little one's hand prints. 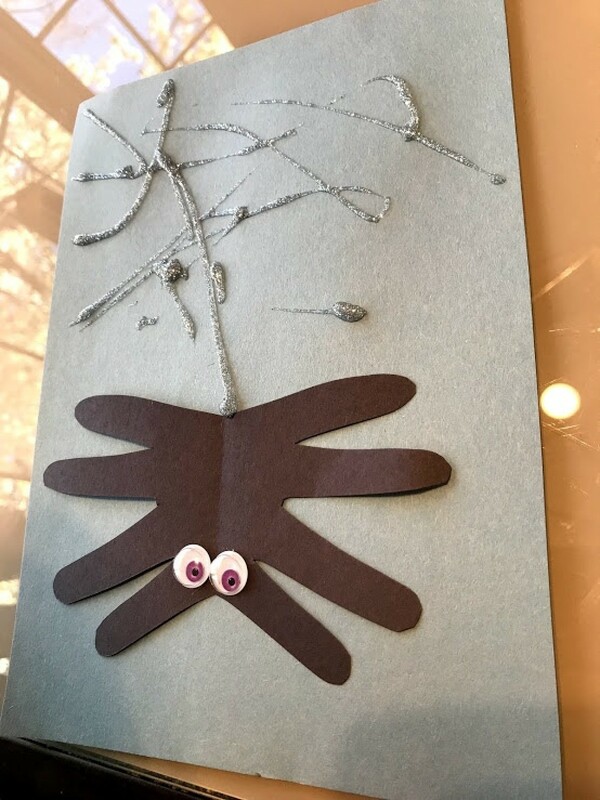 We made ours to hang up for decorations during a buggy birthday party, but this can work just as good a spring craft, as well as, a Halloween craft. Paint one of your child's hands all over, leaving out the thumb. Press onto the paper, fingers facing the outside edge of the paper, to make one side of the spider. Clean up this hand and repeat with the other hand. My toddler is into spiders right now. I recently bought her a spider sweater and she always wants to wear it. Her craft of choice when it was raining was to make more spiders! We made this cute spider with her handprints. This concept would be cute and perfect for a toddler's Halloween party (as the spiders are not scary). 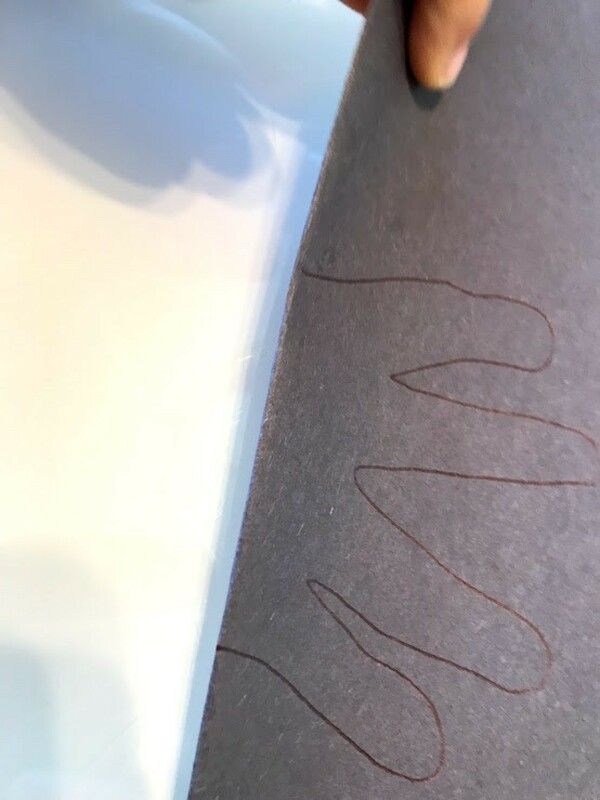 You could hang the spider with string as a decoration instead of gluing it to paper like we did. Fold black construction paper in half. On the crease side, trace your toddler's hand (except thumb). Carefully cut the hand out. Glue down googly eyes and glue spider down onto construction paper. 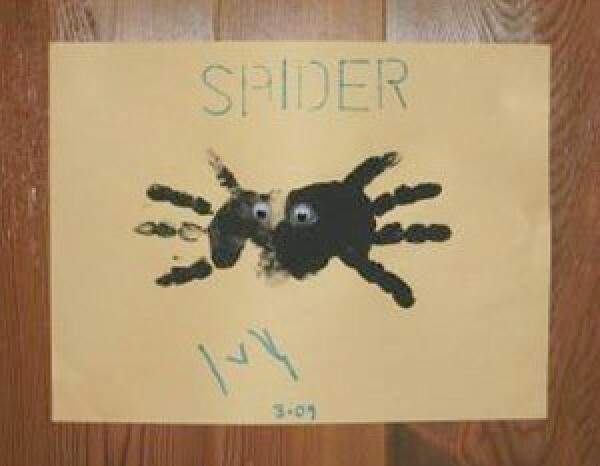 Using glittery glue (to resemble a spider's web), have your child decorate it to their liking. Allow to dry.